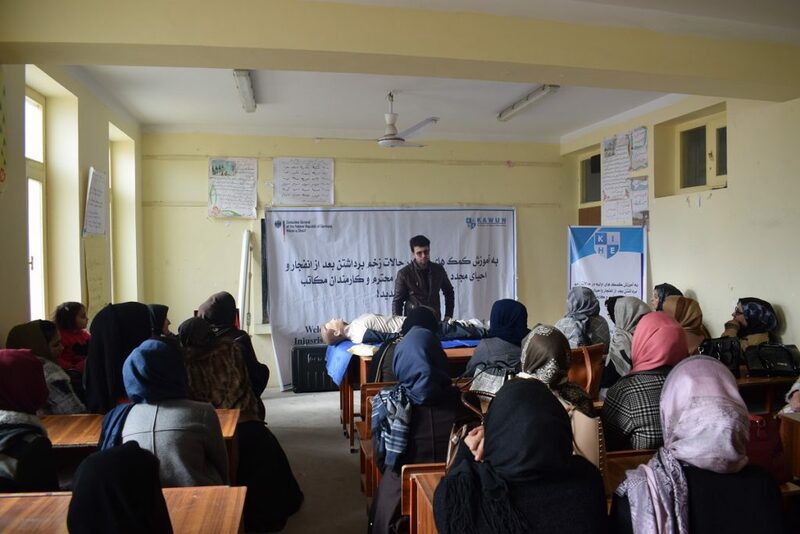 KAWUN Institute of Higher Education and AFAF implemented a project on “First Aid of Gunshot and Blast Injuries & Basic Life Support (BLS) training for schoolteachers and administrators”, this project is financially supported by General-Consulate of Germany in Mazar-i-Sharif – Afghanistan. 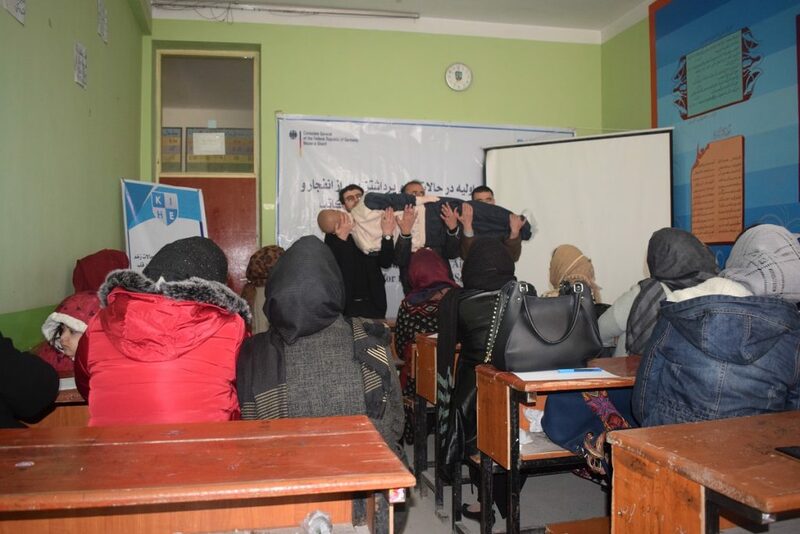 The training is designed to be delivered for all the schoolteachers in Balkh project, in the pilot phase, only 8 schools of the city have been selected and over 188 schoolteachers and administrators provided with the training. In a project-closing event, Hon. 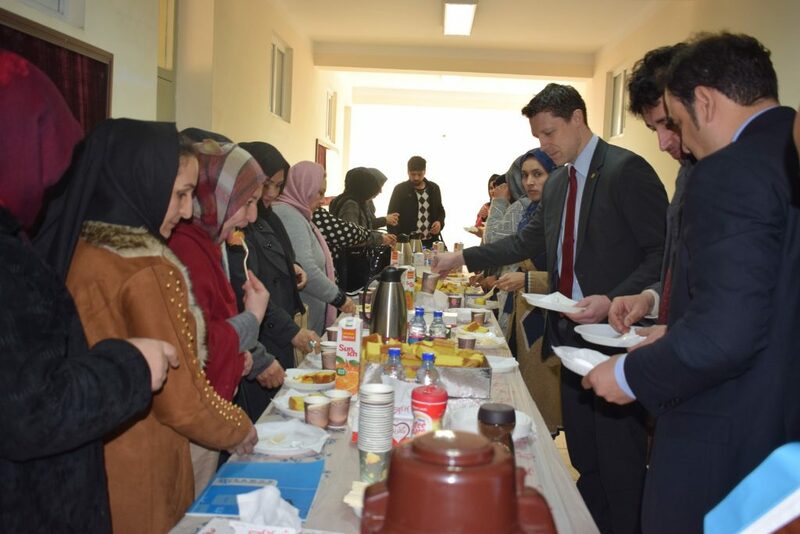 Mr. Felix Kroll, Deputy General Counsel – Consulate General of Germany in Mazar-e-Sharif, Mr. Waliullah Amiri, General Director – Education Department, Hon. 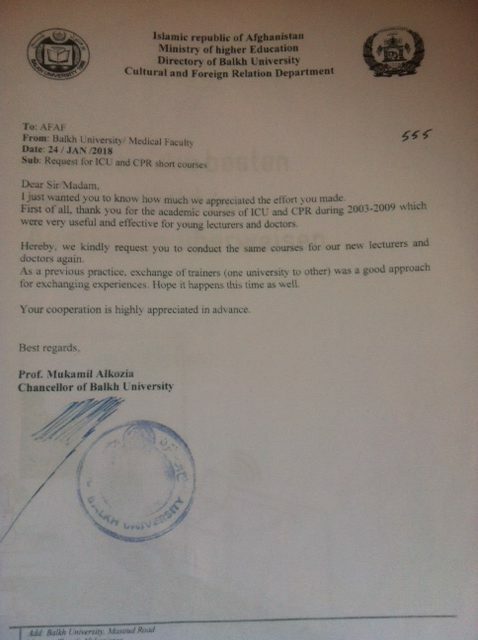 Mr. Alam Khan Azadi, Member of Parliament and Asso. 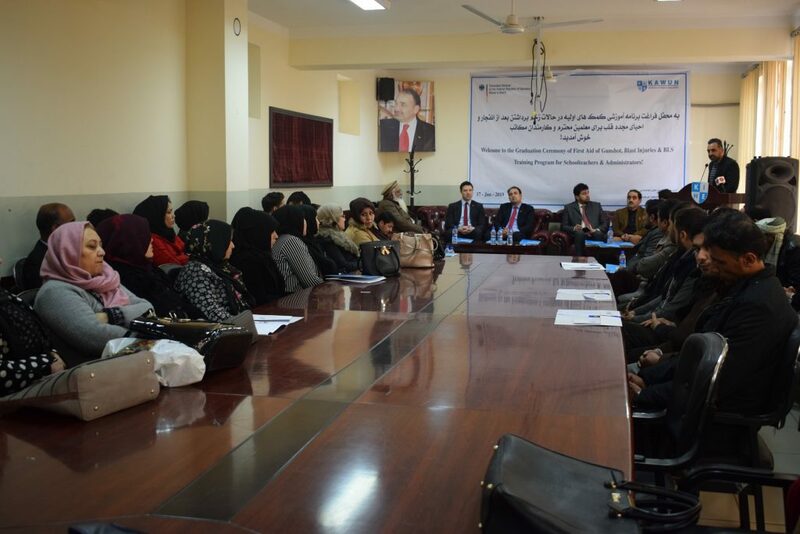 Prof. Hamidullah Jubran discussed the achievements of the project and distributed successful program completion certificates for the schoolteachers and administrators. 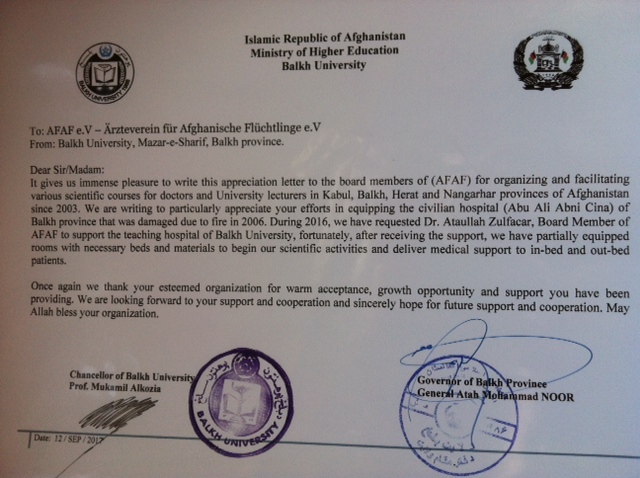 Schools covered under this program: • Tajrobawi Girls High School • Fatim-e-Balkhi Girls High School • Baktash Secondary School • Ustad Ata Mohammad High School • Aisha-e-Afghan High School • Sultan Ghiasuddin High School • Sultan Razia Girls High School After the pilot phase of the project, KAWUN and AFAF with direct financial support of the General-Consulate of Germany in Mazar-e-Sharif will work together to pave the way for the second phase training launch and over 100 schools and over 2000 schoolteachers and administrators will participate the “First Aid of Gunshot and Blast Injuries and Basic Life Support (BLS) training” in the second phase of the project – this phase will not only focus on the schools in the city, but will support schools in the remote areas of Balkh province. 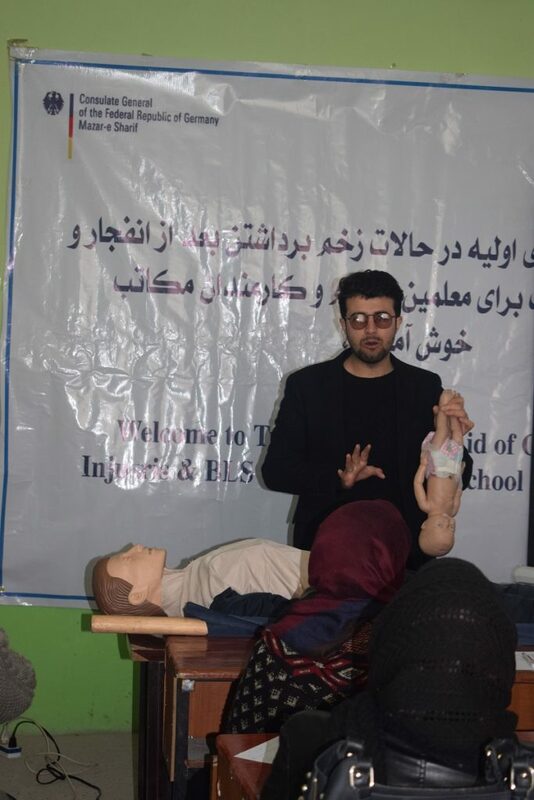 KAWUN Institute of Higher Education in collaboration with AFAF and financial support of Consulate-General of the Federal Republic of Germany, Mazar-i-Sharif – successfully implemented the project pilot-phase and delivered trainings on “First Aid of Gunshot and Blast Injuries & Basic Life Support” for the schoolteachers and administrators of the 8 targeted schools in Maar-i-Sharif city. 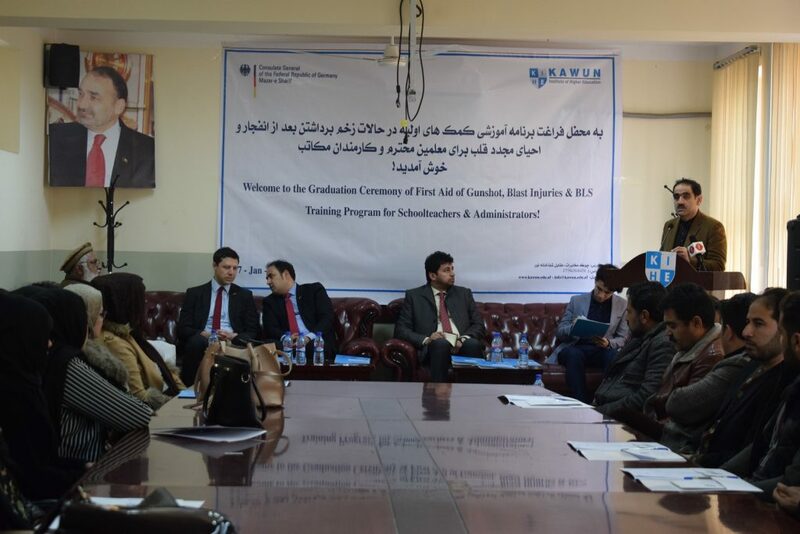 Under this project, over 176 schoolteachers and administrators received the training – in its second phase, we are planning to increase the number of schools to 100 and the number of schoolteachers and administrators to over 22 for each of the targeted schools. As the project is emphasizing on the usage of basic aid tools, therefore, in the second phase of the project, aid kits will also be distributed to schools for the emergency cases. The project has been officially kicked-off on November 5th, 2018 and closed on December 31, 2018.